hillviewasb.com: ASB Magazine Fundraiser Launches!! Hillview's Student Council (a.k.a. "ASB") launched its fundraiser today! This fundraiser is the only student-led fundraiser other than the ASB Card sales, and it ensures we can continue to build a world-class activities program to match our world-class education. Most importantly, it empowers our ASB, led by a talented group of 8th graders, to balance their budget and execute their vision for this year. The magazine brochure offers over 750 titles, and in addition, there are over 1,700 items (magazines AND gift items) available online. With your help, 40-50% of every dollar spent on these quality products will stay with our school! For those families who do not wish to order magazines, you can also support ASB with a $20 donation. For every $20 in donations collected, that student will earn credit for 1 order sale. For example, if a student collects $60 in donations instead of magazine orders, that student will earn credit for 3 orders. We provide this option for families who would prefer to support ASB's effort to fundraise without having to make a purchase. Either way, Hillview's Student Council greatly appreciates your support! The profits we earn this Fall will go directly toward ASB-sponsored projects that benefit every student including: spirit weeks, color competitions and prizes, Hawkaplooza, the Block H program, the Student Center, motivational speakers, dances, and much more! Student participation is totally voluntary, but students can earn great prizes and have a ton of fun supporting their school. Parents can, if they wish, support us by ordering magazines for home or as gifts and share the ordering opportunity with friends and family. Click on the button below to access Hillview's special online "store" with Great American. If you are prompted, enter Hillview's online store ID, 2642593 to guarantee that Hillview gets credit for the sale. 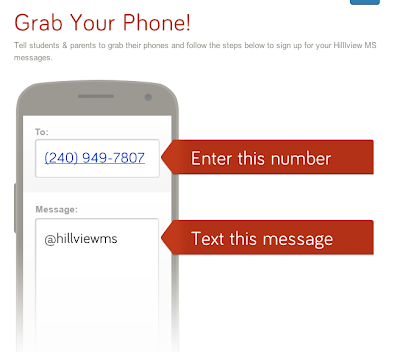 Hillview's Online Store ID is embedded in the link below, so it will automatically post, but just in case, if you are ever prompted for an online store ID, the number is listed above. Have you subscribed to ASB's Remind101 Text Alerts? Do it now to stay connected to Hillview! Don't have a cell phone? Want to get our updates via email? I'm so excited to do this magazine thing! I want to ride in a Hummer Limo. Mr. Darmanin said his first choice would be a pink limo! would participating count as a leadership requirement? 4 orders for your Donation to Save the Children with a short blog article on this organization can count for a leadership requirement. I'm so excited to sell 20 magazines so I can go to Benihana's !! We hope we get enough to get on the super seller prize list!